Do you have kids or grandkids who are in the Disney-obsessed stage of life? Well I have good news and a little pre-Christmas giveaway too. How awesome would it be to have this 4-pack of tickets be to give as a Chrismas gift? Going to a show at Blue Cross Arena in Rochester with little ones is an adventure in itself, but don’t let it freak you out. It would be awesome if there was someplace in the Finger Lakes to have a show like this, wouldn’t it? If you aren’t familiar with the downtown Rochester (like me), or if you’re not great at navigating (like me), it can feel overwhelming when trying to figure out how to get there and where to park. So here’s where I recommend parking (thanks to tips I received via Twitter last time I went to the Blue Cross Arena). 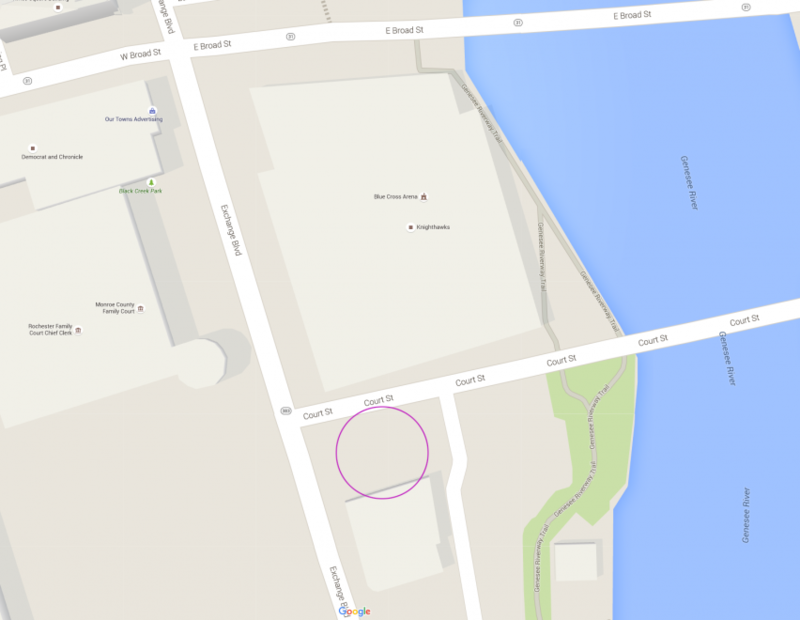 It’s in the purple circle off of Court St. There is a little booth with a (in my experience) friendly guy taking 10 dollar bills (I think). Oh, and here’s my advice on souvenirs: Bring your piggy bank. One for each kid. They’re going to want the flashly light-uppy stuff. 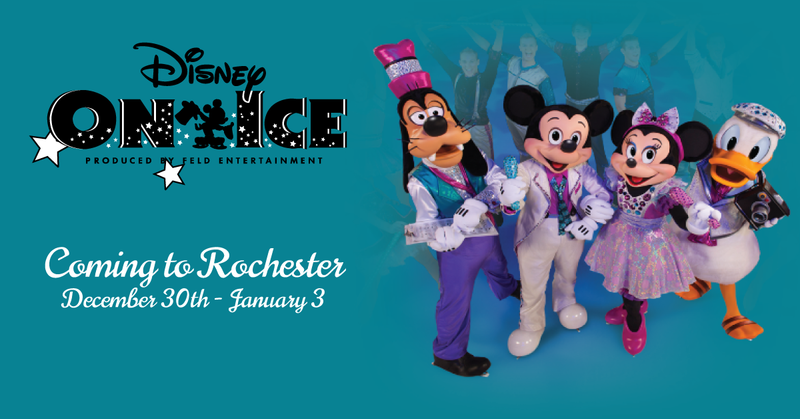 Ok, let’s give away some tickets to Disney on Ice: Let’s Celebrate! presented by Stonyfield YoKids Organic Yogurt! These tickets are for the December 30th showing at 7pm. The winner will receive 4 tickets and they will be available at Will Call at the arena the night of the show. These tickets, as well as my own 4-Pack of tickets are provided my Feld Entertainment. The Walt Disney Company is neither a sponsor nor endorser of this sweepstakes. Thanks for sweeps entry for the 4 tickets. We used to go every year with my younger cousins. I think the kids are old enough now that they would enjoy it as well!